Just the right portions of peppers, fennel and sugar to produce a Sweet Italian sausage! 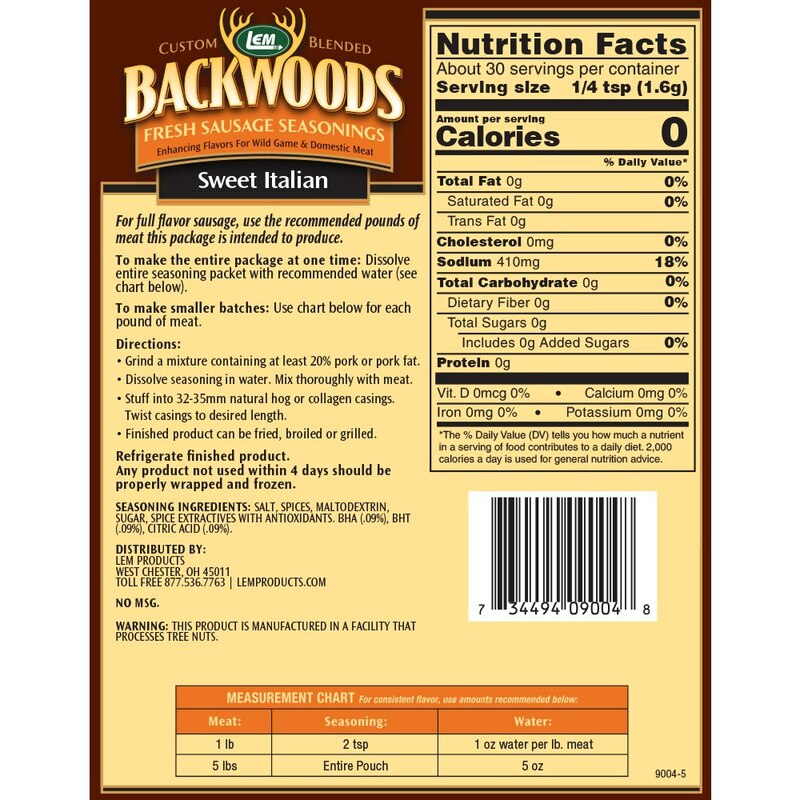 Backwoods Sweet Italian Seasoning Makes 5 lbs. 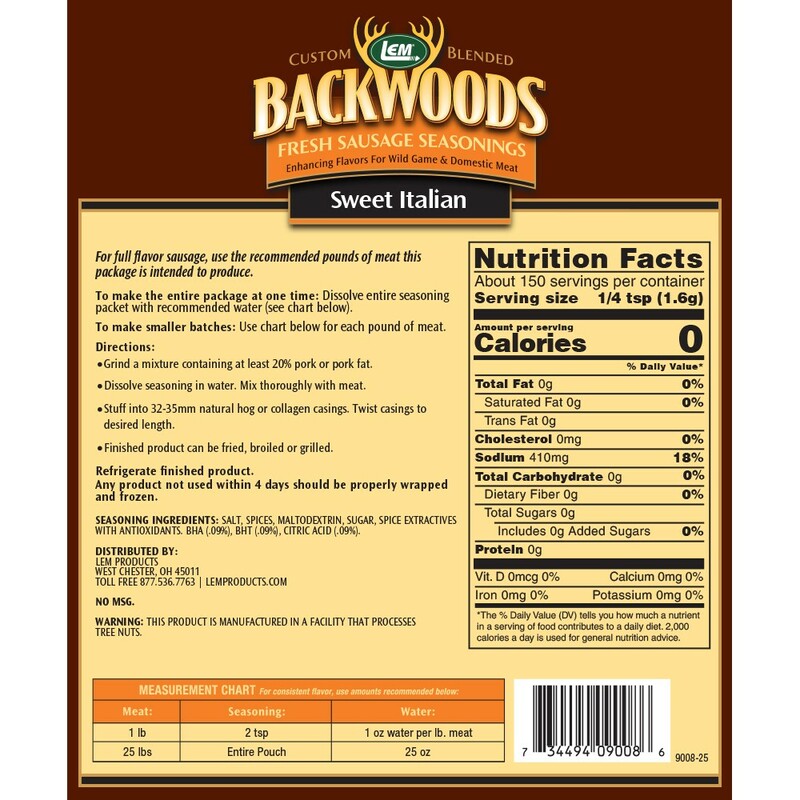 Backwoods Sweet Italian Seasoning Makes 25 lbs. 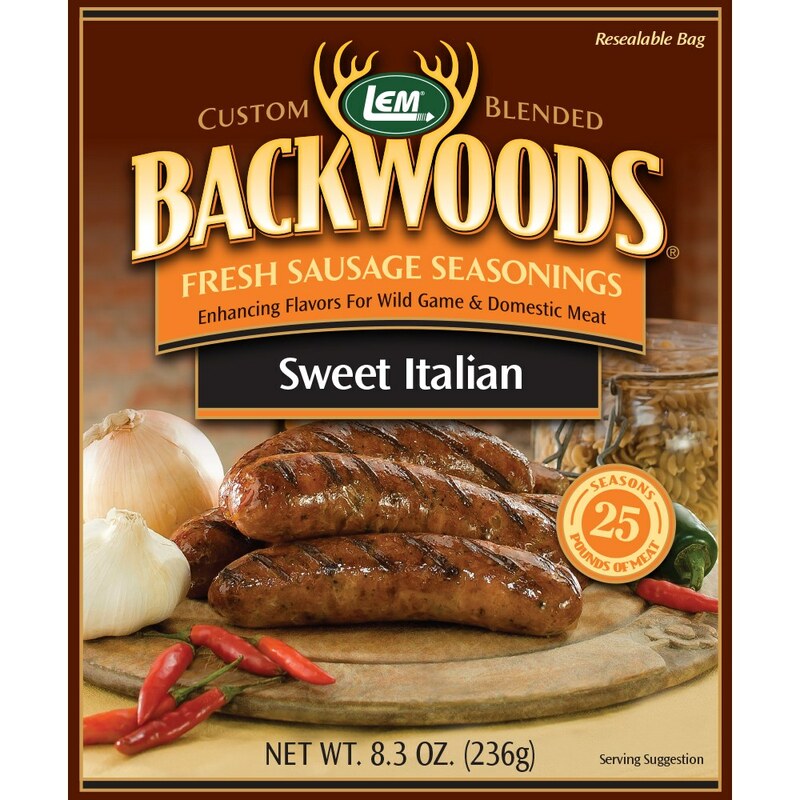 Sweet Italian: Just the right portions of peppers, fennel and sugar to produce a Sweet Italian sausage. 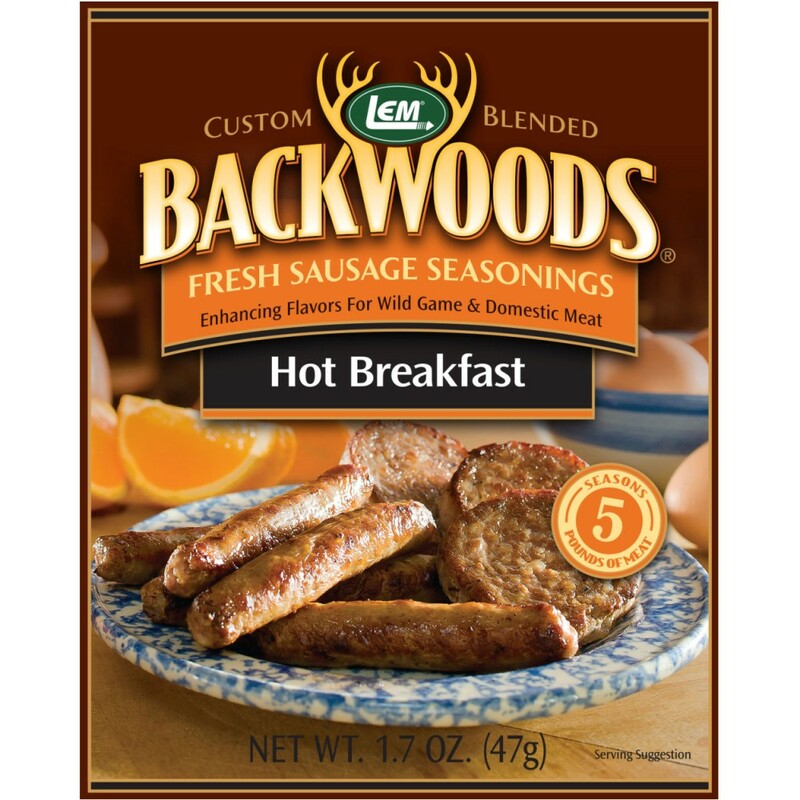 Backwoods Sausage Seasonings have been delighting customers since 1991. 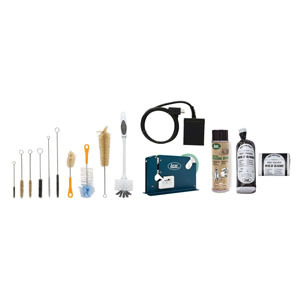 We make it simple with our easy to follow instructions on every package. 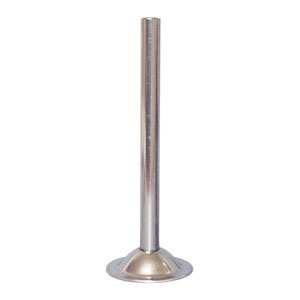 For wild game and domestic meat. 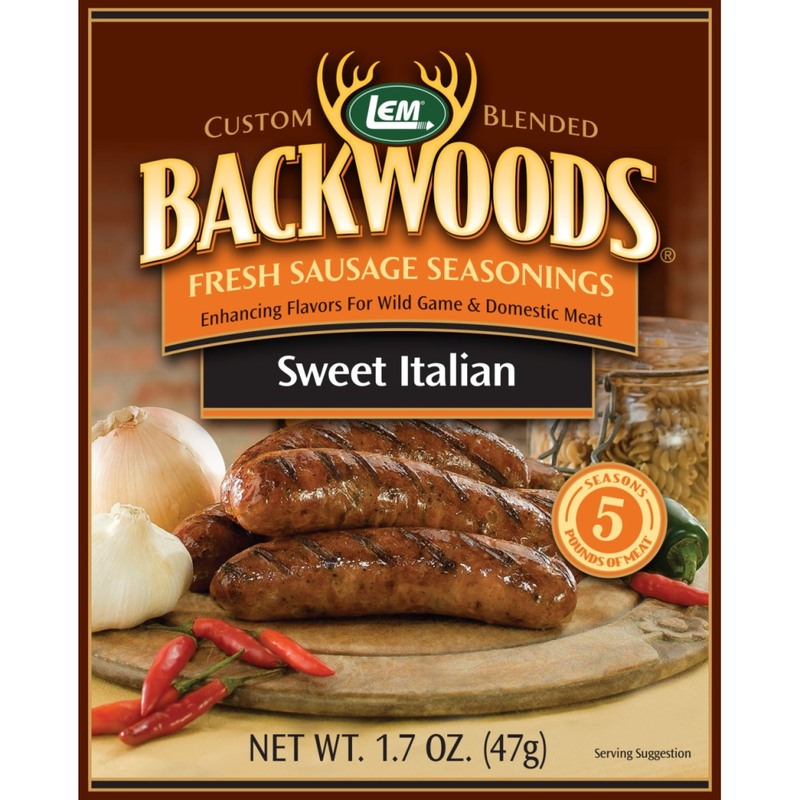 We don't know about you, but we're ready for Italian Sausage anytime! For consistently flavorful sausage use the recommended number of pounds of meat this package is intended to produce. To make the entire 5 lb. package at one time: Dissolve entire seasoning packet into 5 ounces of water for 5 pounds of meat. To make the entire 25 lb. package at one time: Dissolve entire seasoning packet into 25 ounces of water for 25 pounds of meat. To make smaller batches: Use 2-1/4 teaspoons of seasoning and 1 ounce of water for each pound of meat used. 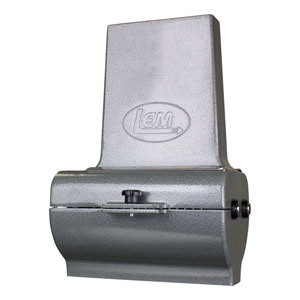 Grind a mixture containing at least 20% pork or pork fat. Dissolve seasoning in water. Mix thoroughly with meat until tacky. Stuff into 32-35mm natural hog or collagen casings. Twist casings to make 4-6" links. Finished product can be fried, broiled or grilled. Any product not used within 4 days should be properly wrapped and frozen. Seasoning Ingredients: Salt, Fennel, Black Pepper, Sugar, With Antioxidants (contains .1% of each of BHA, BHT, Citric Acid).